Incoming cash flow is considered as a critical part of every business. With sufficient money, how can someone pay for inventory and regular operating expenses? Whereas, cash flow shortages are usually due to situations beyond your control. Sometimes, you might face challenges: a slow season that affect your bank account or unpaid invoices. You can be stuck waiting for weeks or even months to get payments from clients, due to the company’s policies. It causes difficulties, when unpaid invoices stack up and your business need capital. Perhaps, you may know the traditional financing methods: small business loans, a line of credit, and credit cards. And, sometimes these funding options aren’t feasible to go for. What Is Account Receivable Financing (A/R Financing)? All you need to know that, there’s an inimitable financing method—helps to handle the unpaid invoices. In account receivable financing (also known as invoice financing), one can receive the capital to meet outstanding receivable. Moreover, it accesses your account receivables as collateral for an asset-backed line of credit. The lender provides a line of credit, considering the unpaid invoices. Account receivable financing offers a number of benefits to small business owners. If someone fails to qualify for other funding ways, account receivable can assist to overcome the challenges. Who Qualifies for Account Receivable Financing? 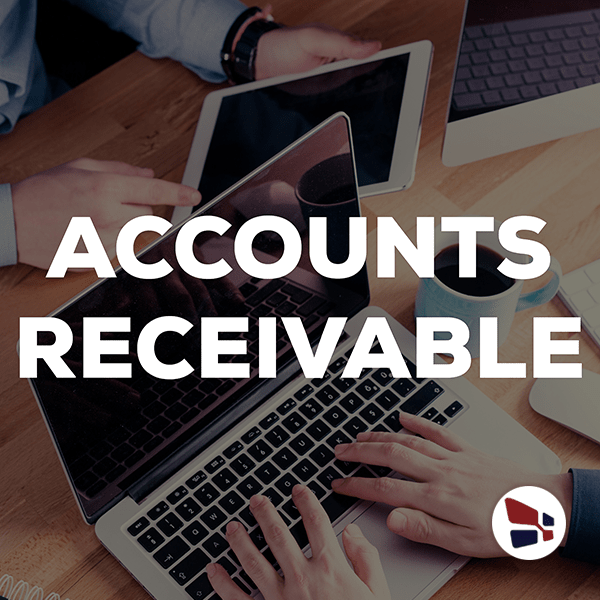 In account receivable financing, you don’t need to meet stringent requirements—perfect credit score, high annual revenue, or a long time in business. All you need to provide basic information about yourself and business, and unpaid receivable details. A minimum credit score is required to obtain account receivable financing as some lenders ask for a credit score. Invoices and creditworthiness of your clients are considered the most important qualifying factors. To get the funds, you first need to apply the lenders. The financing process requires basic information about you and your business—including federal Employer Identification Number, complete name, and contact details. After filling an application, some lenders request to join your accounting software. It permits the lender to check the invoices, in order to qualify for funds. Whereas, some lender may ask you to simply upload the invoices. Once you’ve done with the application and have submitted the invoices, now its lender’s turn to approve the application. Your application can be approved on the same day, or you need to wait for several days. After application approval, you’re able to access money from a line of credit to cover the business expenses. Usually, lenders transfer funds into your bank account within 1 or 2 business days. Lastly, you’ll collect the payments on your invoices, to repay the loan you’ve taken from a line of credit. Moreover, you also pay the additional fee charged by the lenders. How to Select the Right A/R Financer for a Business? Account receivable financing is an easier way to get funds without any strict requirement, and you must know the lender’s requirements before applying. To make sure you’re a good fit, lenders are usually concerned with annual revenues and the minimum credit score of your business. Lender’s monthly rates are high by adding fees and costs, so you may end up paying more. Be assure to look at the numbers—to analyze the most effective financial solutions. If a lender offers a line of credit up to $50,000, and you need a higher line, in this case, you’re free to eliminate the lender from your list. And, you prefer the lenders offering higher funds. With an easy application process, BlueVine offers account receivable financing lines up to $5,000,000. Ranges start from 0.25% per week, and the application gets approved within 24 hours. And you’re able to sync invoices directly from accounting software, or you can upload right to your dashboard. To get qualified, you must operate a B2B company—with a minimum FICO score of 350, $100,000 annual revenue, and have been in business for at least 3 months. When you work with Fundbox, it’s possible to get receivable financing up to $100,000, and extra fees start at 4.66% along weekly repayments. You can receive 100% of your invoice value deposited into the bank account. No credit check and paperwork required—all you need to do is attach your accounting software, and get approval in a few hours. To qualify, your business must have annual revenue of at least $50,000 and locate in the United States. With P2Binvestor, you can obtain an asset-backed line of credit up to $10 million. Several fees are associated with P2Bi line of credit—including 1.5% origination fee, 1.5% annual revenue, and daily discounts costs. To qualify, your business must have completed at least 6 months with an annual revenue of $500,000. American receivable provides funding up to $3,000,000 for unpaid invoices, 90% of the value for your invoices and rates start at 0.8% per month. You get qualified for the funding without credit score and revenue requirements. With Riviera Finance, you receive funds up to $2,000,000 for outstanding receivables, and rates start from 2%. You can get up to 95% of your invoice value within as little as 24 hours when clients approve the products. No need for annual revenue, personal credit score, or time in business to get qualified for Riviera Finance. If you deal with a number of accounts receivable and don’t qualify for other lending options, account receivable might be a suitable stop for your business. Definitely, this financial solution isn’t for everyone. Moreover, weigh up the overall costs of accounts receivable financing and estimate the requirement of your business. Perhaps, this financing type might compatible to your business, otherwise, go for other funding options. Come over to our website and read blogs, if you need more guidance about Account Receivable Financing. For daily updates and financial solutions, follow us on Facebook (@Onlinecheck) and Twitter (@Onlinecheck). In case of any query feel free to call at (833) 827-4412 and our financial experts will assist you 24/7. Do you know what is accounts receivable financing? Here is everything you need to know about accounts receivable financing.